The business world says that there are not enough young people with strong communication skills, work ethic, and leadership skills to fill today’s workforce pipeline. Through schoolwork, youth can gain knowledge and skills in areas like reading, writing, math and science. Working hard in school and taking advantage of all the opportunities available is very important, but it is not enough. By stepping up and doing more outside of school, it gives them a head start. Skills such as thinking skills; communication; teamwork and leadership; lifelong learning and self-direction; technology adoption and application; and professionalism and ethics are called 21st century skills (or life skills). These skills have not replaced the technical skills of doing a specific job. Rather, they are the skills necessary for almost all jobs and they are becoming more important every day. The great news is that youth participating in 4-H are on the right path to obtaining these skills employers seek because 4-H projects, events, and activities incorporate workforce development skills regardless of the subject matter content. In fact, thousands of 4-H Alumni credit 4-H with their success in work and personal life. 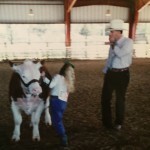 You can read some of their stories in our 4-H Press Room or watch the video below to learn how Commissioner of Ag Adam Putnam got his start in 4-H.
It’s never too early to start, and 4-H volunteers and parents play a critical role in helping youth gain skills and experiences through the pre-employment process. Below are ideas that will assist youth on the path to a successful career. ☐ Start a job journal where they keep notes on different jobs. ☐ Have them to interview someone they know about their career. ☐ Contribute to a blog about a workforce career or skill. 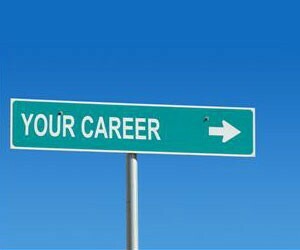 ☐ Take an aptitude assessment to see what types of careers might fit their interests. ☐ Coordinate a field trip for your 4-h club to a business or organization. 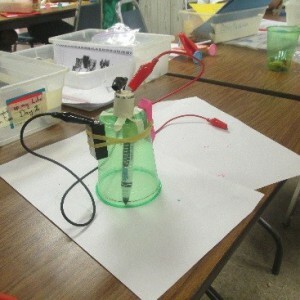 ☐ Participate in 4-H U to explore different careers and fields of study. ☐ Youth can conduct a talk or demonstration on a career of interest. ☐ They can volunteer for a leadership role on a committee, club, etc. technology to improve what they are trying to do. can do to help out. ☐ Ask at least one question each day at school, home and work. ☐ Youth can attend a presentation on a workforce skill or topic. in that area over the next six months. 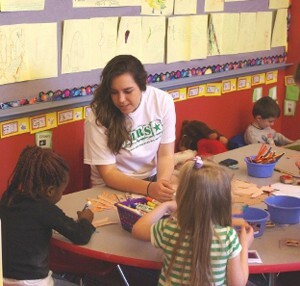 summer camp counselor- part of the application includes an interview! ☐ Complete a 4-H Portfolio. The portfolio includes a resume and interview process. Top portfolios are awarded scholarships during 4-H U each year. what kinds of things are required for most applications and what the process includes. application and interview process. Don’t forget they can always turn down an offer. ☐ They can serve as a camp counselor or a 4-H Ambassador. ☐ Club members can ask their parent for feedback on their performance with a household task or chore. ☐ Can serve as a volunteer at a business or organization. ☐ They can discuss with their current employer other career opportunities. ☐ Mentor a younger youth. Encourage young people to start thinking about their experiences and accomplishments. They all have unique abilities, talents, skills, knowledge, and gifts. By learning to recognize the valuable skills they have gained, they can pinpoint their interests and help them to discover what types of career they may want to explore! If you are have skills you would like to share to help today’s youth become tomorrow’s workforce, visit http://florida4h.org/volunteer or contact your local UF IFAS County Extension Office. Civic engagement is a broad term that describes the process developing the knowledge, skills, and motivation to improve the quality of life in a community, through either political or non-political processes. Thomas Ehrlich, the author of Civic Engagement and Higher Education, states “a morally and civically responsible individual recognizes himself or herself as a member of a larger social fabric and therefore considers social problems to be at least partly his or her own; such an individual is willing to see the moral and civic dimensions of issues, to make and justify informed moral and civic judgments, and to take action when appropriate.” “Developing youth who take interest in understanding social and community issues is a fundamental philosophy of 4-H. This interest is a learned behavior and is best approached by meeting the youth where they are, rather than club leaders prescribing citizenship opportunities for them,” shares Stacey Ellison, the 4-H Regional Specialized 4-H Agent providing leadership for civic engagement. “To find that out, ask youth what are they interested in? What concerns them about their community? How do they see themselves as part of the solution?” A great resource for helping club leaders facilitate these types of discussions is the 4-H Civic Engagement Guide for Afterschool Clubs. Provide supervision by caring adults who have been screening and oriented to their roles. Foster youth adult partnerships. Meaningful youth engagement views youth as equal partners with adults in the decision-making process. Programs and activities are developed with youth, rather than for youth. In this kind of equal partnership, both adults and young people need to be fully engaged, open to change in how things are done, and share a unified vision for the partnership. Adults and stakeholders view youth as a resource. Youth programs are strengthened when they involve and engage youth as equal partners, ultimately providing benefits both for the program and for the involved youth. Positive youth development also has its origins in the field of prevention. In the past, prevention efforts typically focused on single problems before they surfaced in youth, such as teen pregnancy, substance abuse and juvenile delinquency. Civic engagement is major factor in 4-H positive youth development. The Tufts Study on Positive Youth Development found that compared to their peers, 4-H’ers are:four times more likely to make contributions to their communities and two times more likely to be civically active. If you would like to help Florida 4-H grow the next generation of civically engaged young adults, consider becoming a volunteer. Visit http://florida4h.org/volunteer or contact your local UF IFAS County Extension Office for more information. 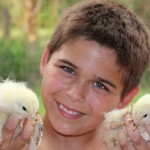 Noah, a Holmes County 4-H member, is learning responsibility through the 4-H Chick Chain project. Regardless of the age-old debate, “which came first, the chicken or the egg?” one thing is certain- raising chickens is a big responsibility. One of the newest and most creative ways that some of our Florida 4-Hers are learning the importance of being responsible is through the 4-H Chick Chain pilot program. 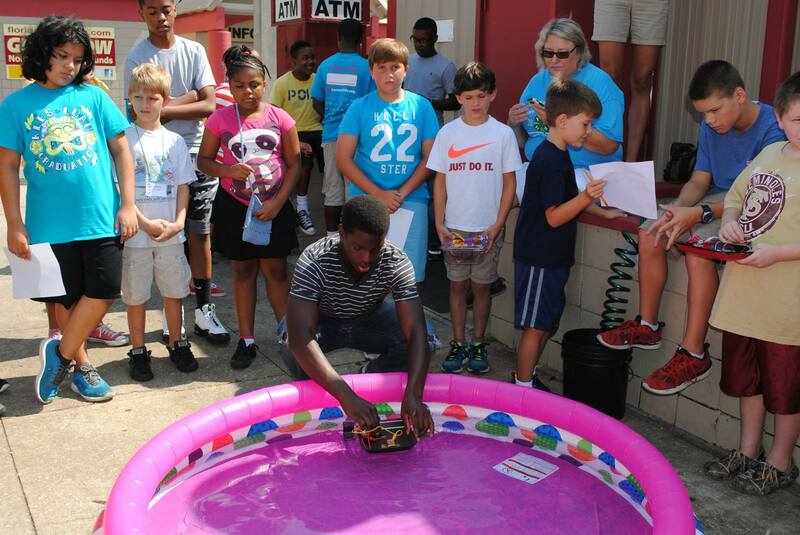 This year, six counties in the Florida Panhandle partnered with Alabama 4-H to offer the Chick Chain program. The goal of this project is to help youth learn life and workforce skills while learning how to raise and show chickens. 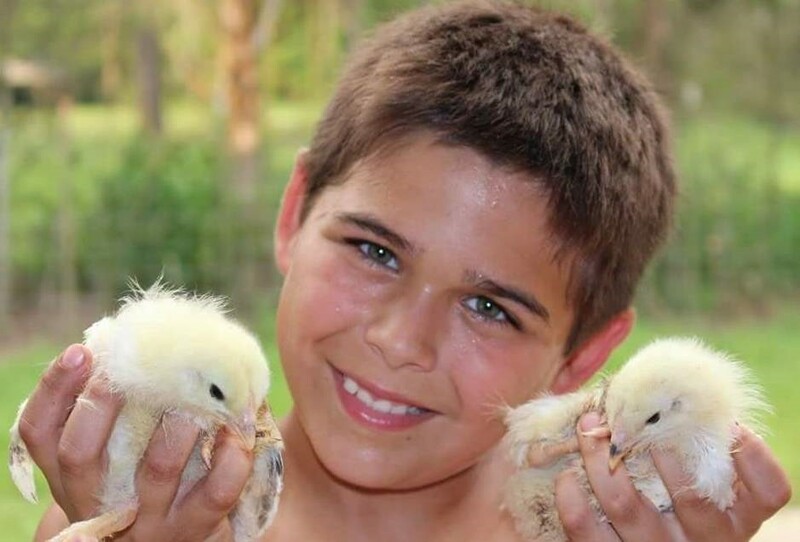 Thirty-six Florida 4-H members chose to take on the responsibility of raising 18, two-day old chicks from May through October. 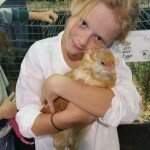 Over the course of the program, youth participated in workshops to learn how to care for their chicks, keep records of their project, and how to prepare their animals for a show. This past Saturday marked the culminating event of the project when youth participated in a show and auction in Ozark, AL. During this event, youth competed in a showmanship competition, record book competition, and poultry quiz. All three events counted towards their overall score. 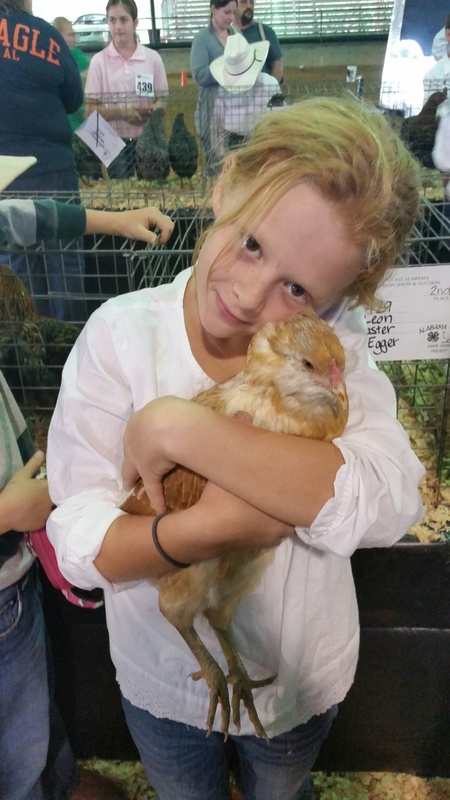 4-Hers spent 6 weeks learning how to care for their chicks, biosecurity, showmanship, and recordkeeping. If you would like to help 4-H grow responsibility in your community (through this program or others) consider becoming a 4-H volunteer. For more information about becoming a volunteer, or to find out about next year’s 4-H Chick Chain program, contact your local UF IFAS County Extension Office. We are also looking for sponsors to help expand this program. Growing up, we lived on a farm. At the age of 8, and not weighing much more than 50 pounds, my dad called me outside to a relatively small pen that he had fenced off the weekend before. He taught ag, so farming was more of a hobby for us, but this was something new. I noticed my grandpa’s old beat up blue horse trailer backed to the pen’s gate. I can remember my dad helping me climb onto the wheel well of the trailer and peek through the slats to see two yearling steers. One black and one red and white. “Which one do you want?” he asked. At the time I didn’t know that the judge always picks the black cow to win, in fact, I didn’t know there were any judges involved at all. I didn’t know why these cows were at our house about to go into a special pen. All I knew was that red cow was beautiful, and that’s the one I chose. My dad laughed and said, “He’s a haus.” So that became his name. As it turns out, Haus was a show steer. With my dad’s help I spent a lot of cold, dark evenings after school walking that steer with fingers so numb I thought they’d break off if he jerked too hard. I learned to groom him. I learned to lead him. I learned how to feed him properly. And I learned that extra hoses and an automatic waterer were well worth the investment the next year when it cut down on the number of trips I had to make with cumbersome, sloshing, five gallon buckets of water to make sure the cows didn’t go thirsty. I quickly fell in love with the whole idea of showing cattle, and by the Fed Cattle Show, Haus was well over 1,500 lbs. Incidentally, I hadn’t gained an ounce – in retrospect it might have had something to do with hauling those buckets of feed and water. However, I wasn’t scared. You see, as Haus grew, so did I. Not physically as I mentioned before, but my skill had grown, and so had my confidence. For those of you who don’t know, showing cattle isn’t like other 4-H competitions where you are placed in age categories. The classes are based on animal weight in a steer show. So I walked in the ring to show with people more than twice my age. I didn’t know any better. As luck would have it, Haus not only placed first in his class, but he placed 2nd in the show as Reserve Grand Champion behind the steer everyone said was the clear favorite. What they couldn’t believe was that an eight year girl with less than a year of show experience and a white-faced red cow had beaten a sixteen year old veteran pro with a pure bread black Angus on her lead. Apparently it was a bit of a toss up between her steer and mine as to which would take the Reserve Champion spot. And as I was repeatedly told, when it’s close, the black cow always wins – no matter who’s on the lead. From this experience I learned that it didn’t matter my age or size, I could do anything. 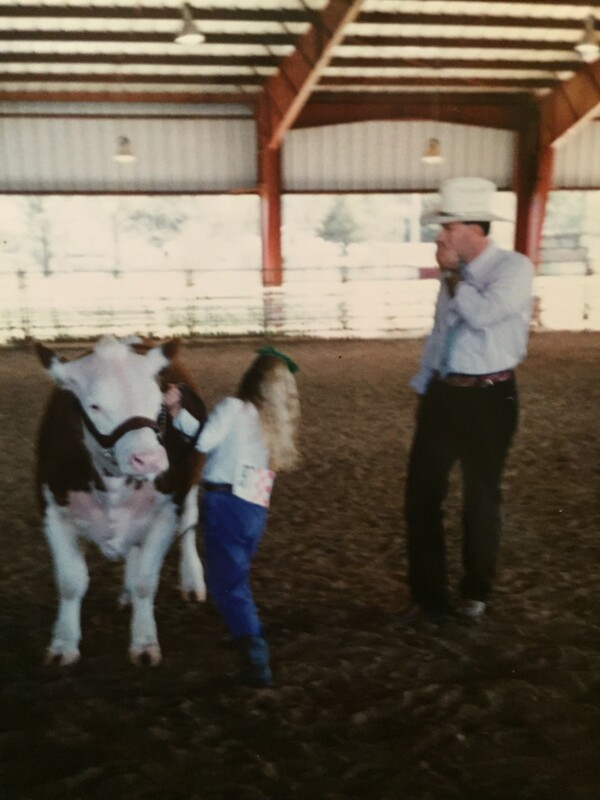 The confidence I gained from this experience sparked a courage in me that pushed me to become a champion in poultry, livestock, and land judging, in public speaking, and in showing rabbits, chickens and hogs as well. I used each of those experiences to fuel countless other successes in life. And each time I was further building that courage. The same courage that gave me the strength of character to be honest, to show integrity when it’s not easy, and to care for others around me. It gave me the strength of character to make wise choices even when they were widely unpopular and to stand alone when it would have been easier to follow the crowd. It certainly hasn’t always been easy. And I’ve failed a time or two. But, I continue to grow – much like the 4-H motto suggests, “To Make the Best Better”. I will be forever grateful to my mom and dad for choosing 4-H as the vehicle to start my lifelong journey toward an upstanding character. Through them and their support and guidance I came in contact with agents, volunteers, and friends from other clubs and counties who have helped me grow. Now it’s my turn and yours to inspire the next generation. How will you empower youth in your community to grow through 4-H? 4-H offers a wide range of opportunities for youth and adults- everything from animal science to aerospace. To volunteer or enroll a child in 4-H, contact your local UF IFAS County Extension Office or visit http://florida4h.org. It’s never too late to start growing character and make a positive difference!